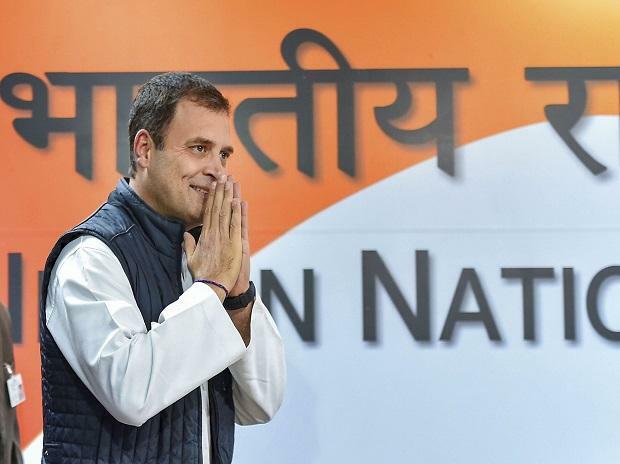 Dismissing the Centre's defence of its order putting all computers under surveillance, the Congress on Friday demanded to know the reasons including what was the threat to the nation behind giving a "blanket authority" to Central agencies to snoop on all computers. Expressing alarm over the Ministry of Home Affairs (MHA) order giving 10 Central agencies and the Delhi Police powers to "intercept, monitor and decrypt any information in any computer source", the Congress accused Prime Minister Narendra Modi of turning India into a "police state" and a "surveillance state". Taking to Twitter, Congress President Rahul Gandhi called Modi an "insecure dictator". "Converting India into a police state isn't going to solve your problems, Modi Ji. It's only going to prove to over 1 billion Indians what an insecure dictator you really are," said Gandhi. After Union Finance Minister Arun Jaitley and Union IT Minister Ravi Shankar Prasad came strongly in defence of the order saying it was a mere repetition of rules passed during the UPA regime in 2009, Congress leader Jaiveer Shergill accused both the ministers of "lying" and asserted that the latest order was vastly different from the 2009 rules. He also said the order was unconstitutional, illegal and in contravention of the Supreme Court's 2016 verdict making right to privacy a fundamental right. "This order is nothing but a way to replace democracy in the country with Modicracy. Both Jaitley are Prasad are lying and misleading the nation because unlike this order, the 2009 rules neither specify 10 investigating and intelligence agencies nor give them any blanket powers to snoop," Shergill told the media. "When the 2009 rules are existing, then what is the need of passing a new order? The need is not in public interest. The Modi government has grown paranoid after losing the recent Assembly elections and wants to intimidate citizens, snoop and steal data and try to change the narrative that is emerging against them," he said. Notified in October 2009, the "Information Technology (Procedure and Safeguards for Interception, Monitoring and Decryption of Information Rules) provide that an order of interception or monitoring of any computer can be issued only by the secretary of the MHA at the Centre and in case of "emergency" such an order can be issued by an officer not below the rank of joint Secretary in the Government of India. Shergill also contested the MHA order and its subsequent statement citing the Information and Technology (IT) ACT, to clarify that the December 20 notification "did not confer any new powers". "The IT Act clearly states interception and monitoring of computers can be ordered only when it is expedient to do so in the interest of the sovereignty, integrity, security of India , friendly relations with foreign countries or public order or for preventing a crime. "The MHA order states none of these reasons. We demand the Modi to government to answer as to what is the threat to the nation or public order that it had to give a blanket order," said Shergill. "The Modi government must come out explaining as to what is the public interest it wants to serves with this order," added Shergill. Earlier in the day, Congress leader Anand Sharma said the government's move aimed at turning india into a surveillance state and asserted the opposition will collectively raise the issue in Parliament. He also claimed that a host of people including Supreme Court and High Court judges and politicians' phones were being tapped. "The latest order of putting all computers under surveillance is unacceptable in any democracy and we collectively oppose it. The opposition will unitedly raise this issue in Parliament," said the former Union Minister.